At Midwest Exteriors MN, we believe the quality of the products installed on your home is just as important as the quality of the contractor performing the installation. That’s why we only work with the most advanced, trusted brands in the exteriors industry. After decades of experience working with various materials and brand names, we know which products work best and which fall short. From windows to siding, Midwest Exteriors MN will not install a product on your home unless it has our stamp of approval. The roof is one of the most important features of any home. As part of the building’s “envelope,” your roof helps separate the interior and exterior of your home. When properly designed and installed, it keeps the elements out and the temperatures you desire in. Unfortunately, many roofs experience water leakage too soon after construction due to poor design, inferior materials, or improper installation. When you choose Midwest Exteriors MN to handle your roofing project, you can relax knowing your roof is in good hands. We have more than two decades of experience working on roofs in the Twin Cities metro area, and we select only the best roofing materials to install on your home. Our crew specializes in the installation of asphalt shingles from the leading roofing manufacturer in North America: GAF. GAF has been a leader in the exteriors world for more than a century, which speaks volumes about their products. They utilize some of the most advanced design, manufacturing, and testing techniques available in any industry (including test models similar to those used in America’s space program). 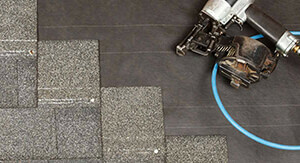 The result is today’s most advanced roofing technology. Much like a new roof, new siding is a home improvement project that can totally transform your home’s curb appeal. But quality siding isn’t just for looks; it adds an extra layer of protection to your home, shielding it from the elements and providing added insulation to improve energy efficiency. Midwest Exteriors MN offers a variety of superior siding products that can change the look and feel of your home. The most affordable option is vinyl siding. Once looked down on as a lesser material compared to wood, today’s advanced vinyl siding technology is both beautiful and functional. Vinyl siding comes in a tremendous variety of colors and styles – it can even be treated to look like wood – so you’re likely to find something that suits both your taste and your budget. Midwest Exteriors MN trusts Alside premium vinyl siding for our customers who opt for vinyl. Alside has provided leadership and excellence in the exteriors industry since the 1940s. As an innovator in the vinyl building products industry, Alside is constantly upgrading and enhancing their product offering. Mixing handcrafted beauty with modern technology, Alside vinyl siding wins popular favor with its appeal, durability, easy upkeep, and excellent value. Wood is a timeless siding product and a top choice for many homeowners, but traditional wood siding can require a lot of maintenance. For homeowners who desire wood siding, we offer game-changing durability with LP SmartSide products. As a global leader in engineered wood products, LP offers extremely innovative siding solutions. LP SmartSide Trim and Siding offers the warmth and beauty of traditional wood with the durability of treated engineered wood. Their complete line of high-performance trim and siding products complement any building style, and come with industry-leading warranties. Gutters are the unsung heroes of your roofing system. Without them, water would flow uncontrolled all over your property, wearing away at your roof, siding, landscaping, and foundation over time. Because they protect your home in so many ways, gutters are one of the best investments you can make as a homeowner. 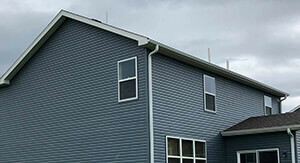 At Midwest Exteriors MN, we know gutters. We started our business in 1994 specializing in gutter installation, and have installed countless gutter systems since then. There are numerous materials out there to choose from, and after years of experience, we’re well-versed in which work best for what type of home and why. Today, we offer seamless gutters in durable, long-standing copper and aluminum. And to keep your gutters as leaf-free as possible, we offer three types of gutter protection systems. 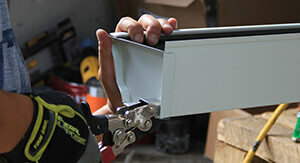 Our knowledgeable crew members will help you determine the best gutter solution for your home.